ScriptRunner allows you to customise the UI of Confluence by adding buttons or displaying web content on a page. Web Items allow you to add a button to a specific location in the UI. Web panels can be used to add HTML snippets to parts of a page. You can use Web Panels to display additional information on the current wiki page, or Jira issue etc. 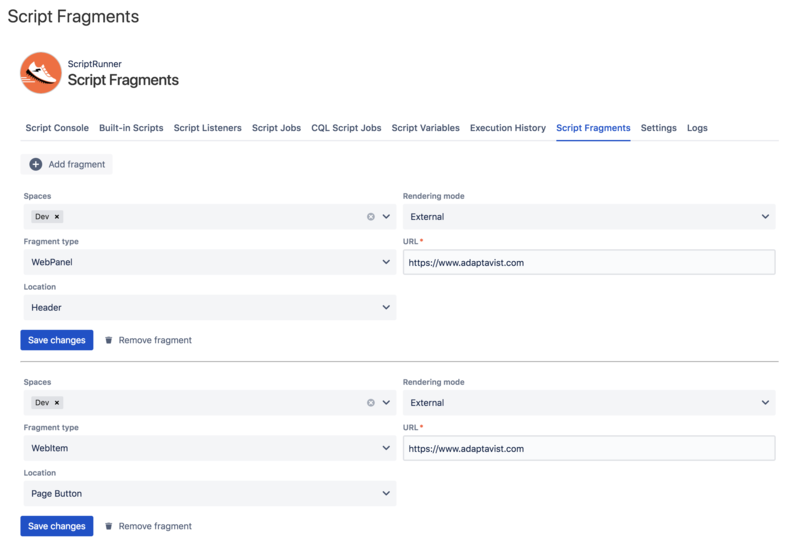 For more information about web panels see Atlassian’s documentation. Select one of six different locations that you want the item to appear in.